While taking care of your skin has never been out of style, there's no denying that we have become more critical about what we slap on our faces. Great skin is no longer just a canvas for makeup, but nowadays rather a look on its own. I personally find it fascinating to hear about other people's routines since so many different approaches seem to work for so many different faces. 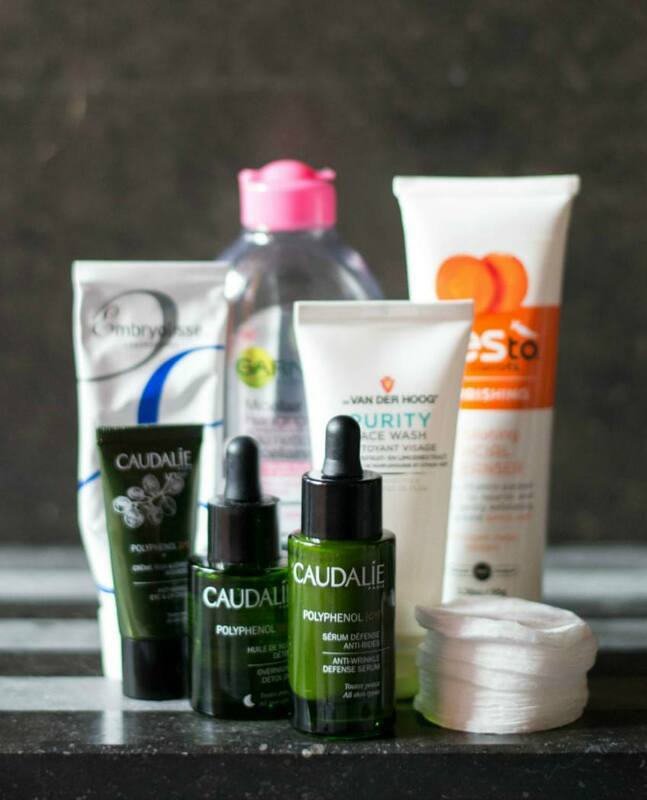 I have seen some religiously stick to water only, while others go through a regime of multiple cleansers and moisturizers, jam-packed with different active ingredients. So I thought it would be nice to document what I'm doing at the moment. I don't necessarily think that this is the best way and I'm pretty sure I'll try some different approaches in the future since I'm only just getting started with finding my routine. In any case, here's what works for me now. I start the day by washing my face with Dr Van Der Hoog Purity Face Wash. To be honest I don't really care too much about a product that stays on my face for approximately ten seconds before disappearing into the drain. This one, however, had me pleasantly surprised. It makes my face feel cleansed without that squeaky-clean feeling that sulphates tend to give, which is a nice change from the cleansers I had been using since my teenage years. It's fuss-free, inexpensive and I'm inclined to repurchase. After cleansing it's time for my Caudalie Polyphenol C15 Anti-Wrinkle Eye Cream. I don't have a lot to say about it, apart from the fact that it hydrates. Oh, and it lasts a lifetime. I've had this one for almost a year and there's still about 40% left. No worries, it hasn't gone bad yet. I then switch to the star product of my skincare collection: the Caudalie Polyphenol C15 Anti-Wrinkle Defense Serum. This is supposed to add the good stuff (read: active ingredients) to the skin. I'm currently not familiar enough with ingredient lists to be able to tell if this really works, but skincare queen Caroline Hirons seems to like it and it makes my skin feel nourished and hydrated, so consider me convinced. I would normally follow up with the SPF moisturizer of the same range, but since I currently spend 8 hours of my day at the hospital (and nowhere near daylight) for my internship, I thought that would be a bit silly. So I now use Embryolisse Lait-Crème Concentré instead. It has no sun filters but it does provide some serious (almost but not quite greasy) hydration, which is perfect when you're in dry hospital air every day. It also leaves a soft, velvety film, which is a great base for makeup. I then proceed to apply aforementioned makeup, but that's a different story for a different post. I start my evening ritual by taking my face and eye makeup off with Garnier's Micellar Cleansing Water and a cotton pad. This has become a staple in virtually any beauty aficionado's cupboard, simply because it works. Makeup comes off without having to scrub, which makes a lazy sucker like me very happy. Next up is the Purity Face Wash again, to get rid of the last traces of makeup and the slightly tacky feel the micellar water leaves. I then proceed to apply the eye cream and the serum again. I finish it all off with Caudalie's Polyphenol C15 Overnight Detox Oil. I don't believe a topical product can actually detox, but this bottle is packed with a mix of some hydrating natural oils. I should mention some of the more scented ones (like lavender) might cause irritation, so this probably isn't for everyone. Luckily my skin isn't really sensitive so I haven't had any problems with it. And yes, it smells amazing. Twice a week I'll exfoliate with Yes to Carrots Exfoliating Cleanser. It's just your average gritty scrub and I recently realised I should probably move on to exfoliating acids after this. It is, however, 99% natural and I like the company's green philosophy, so I will still lovingly use it up first. I also use Nivea's pore strips on my nose whenever I feel that some nastiness has built up in my pores. Not TMI, I have no shame. I will also stop using these when I make the switch to acid exfoliation. So that's that. 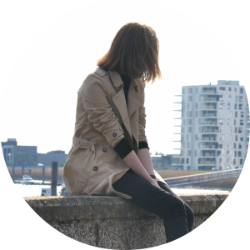 I would apologise for the chatty post, but it has kinda become a habit on this blog, so I won't even bother. Also, you can expect equally chatty updates when I switch up my routine in the future. Now tell me about your skincare routine if you want. I really really genuinely want to know.